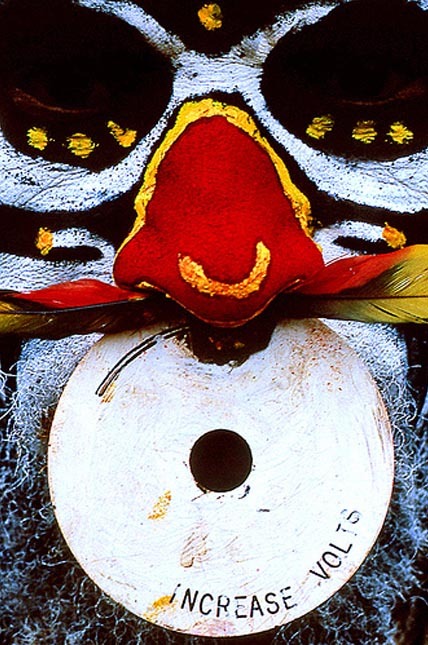 Each year in Mount Hagen in the Papua New Guinea Highlands, tribes from all over the country gather for the biggest “Singsing” of the island. A “Singsing” is a rejoicing time of chants and dances, and before all that takes place, much attention is given to preparing participants’ make-up and dresses. The big question is: when will these tribes perform for tourists and no longer for tradition? When you are the lucky witness of the Mount Hagen Singsing, and you can hear how loud the people sing, and how much time they take to dress (each plume of the hats is put in one by one at every ceremony – it takes hours…), you can be sure that these proud people still do this first for pleasure. Eric Laffogrue belongs to The WideAngle network of photographers, and specializes in using his images to tell the stories of people in countries that are usually off the beaten travel track. For more images from The WideAngle, please click here. I donned my headphones thinking I was going to be one of the lucky witnesses. What a shame. I hope the Islanders carry on the tradition always for themselves primarily and don’t let it become commercialised or eventually it will mean nothing to the generations to follow.